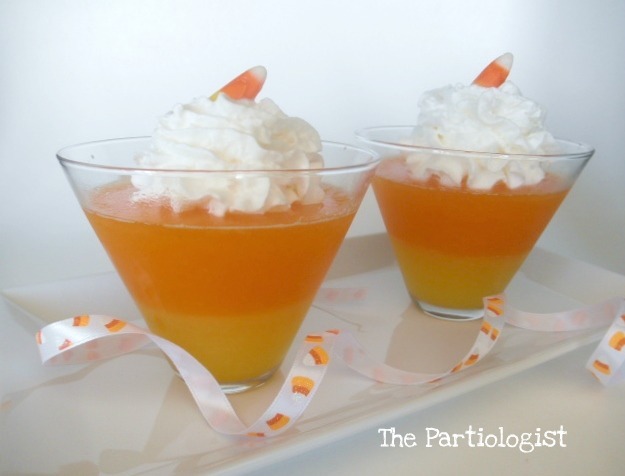 The Partiologist: Candy Corn - I Scream Sundaes! 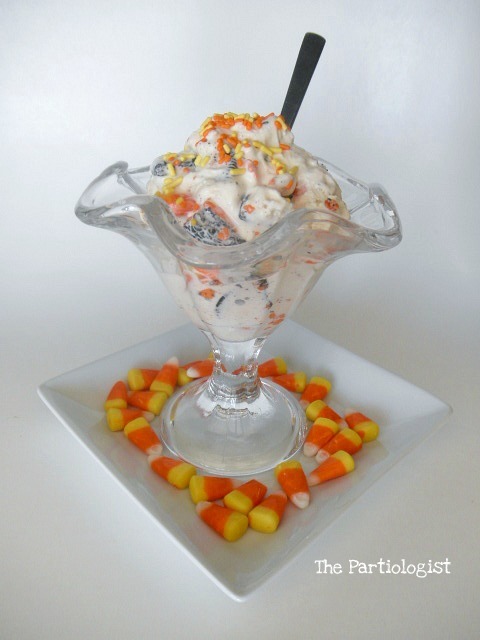 Candy Corn - I Scream Sundaes! Yes, it's the final countdown - only a few more of my Candy Corn creations...and then on to something new!! This little treat is simple and sweet, start with that carton of Vanilla Ice Cream, Oreo's and a handful of Candy Corn. Put a few scoops of Ice Cream in a bowl. Break up some Oreo's. Add Candy Corn. Mix. Top with sprinkles and serve it up in a pretty little ice cream dish. Take photo before it starts to melt, oops! Don't think I'm going to stop there!!! I have another recipe I turned to Candy Corn! Pour boiling water over Lemon Jell-O and dissolve. Add 7-Up and Applesauce and layer in bottom of glasses. Refrigerate until firm. Repeat recipe using 1- 3 oz. Pkg. of Orange Jell-O in place of the Lemon Jell-O. Pour Orange Jell-O over the Lemon Jell-O and top with whipped cream and a Candy Corn.